The movement to establish a community hospital in Oneida County began in 1925. At that time twelve persons leased the Peck Building (located between where the Masonic Lodge and the KC Oil service station now stand), with an obligation to pay $100.00 monthly rental for the building and to purchase equipment on credit. With the aid given by the county, however, the hospital managed to meet expenses; no assessments were ever levied up those who guaranteed the rent and other initial obligations. 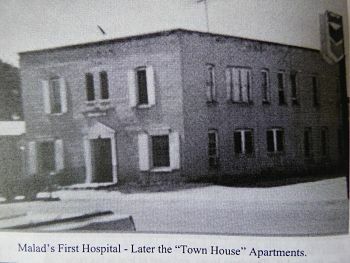 Thus was Oneida County's first hospital started. During the ensuing years, the hospital of 1925 served citizens of Oneida County well. With changing times and increases in available services, the need for a new building became evident. The next hospital came to Oneida County during the Great Depression. With a great sense of pride and gratitude, the citizens of Oneida County met to attend the dedication of their new hospital. Built with Works Progress Administration (WPA) labor, it was symbolic of the struggle of this country to pull itself out of the Great Depression. It all started at a meeting of the board in November 1935. WPA engineers appeared before the board of trustees and submitted a proposal for the WPA to furnish the amount of $26,996 in labor for the construction of a new hospital building. A committee was appointed by the Board and was authorized to go ahead with arrangements. The board of county commissioners sponsored the project and agreed to arrange for the county's cost. The new building was started in 1936 and was completed in October of 1938 at 220 Bannock Street. Cost was approximately $65,000. Constructed of poured concrete walls and floors with plumbing and wiring embedded, it was considered fireproof and built to serve the needs of the community for generations to come. It came as a great shock some twenty-five years later when the Oneida Hospital board was notified that the building had been refused licensure by the Idaho State Department of Health because it failed to meet fire and health sanitation standards. A provisional license was issued, pending structural changes in the building. After an intensive study, Oneida Hospital board decided to hold a bond election for a mill levy to $250,000 for building a new hospital complex. These tax monies along with a federal grant from Hill-Burton funds of $241,000 would provide suffient funds for an eleven bed, regular hospital unit with a fourteen-bed nursing home facility. The bond election was held in August 1966 and was successful. The federal grant was approved. In September 1969, after five years of dedicated effort, which surmounted disappointments and discouragement, ground was broken for the new facility at the site where the existing Nell J. Redfield Memorial Hospital is found. The erection of the hospital on this particular site is a fitting memorial to those pioneering medical services in this community. Since the completion and dedication of the existing facility in October of 1970, the facility has undergone various changes including an extensive addition to the nursing home in 1991. The changes have been necessary to meet community demands and governing regulations. 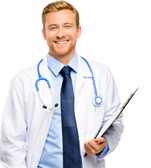 The health care industry is an ever-changing environment. The health care pioneers of Oneida County were committed to providing facilities and services that the community needed. The current Hospital board and staff of Oneida County remains committed to meeting those challenges. After more than eighty years of service, Oneida County can be justly proud of the hospital. They can also be proud of the many dedicated people who work diligently on a daily basis to overcome great obstacles and keep Nell J. Redfield Memorial Hospital a reality. Through the sacrifices of many, we have managed to make quality healthcare a reality for Southern Idaho. Being part of the Oneida Community has been an important goal throughout the years, and with your help and loyalty we can continue to provide health services that you can depend on.